Home > Beauty, Wellness and Sports > Sports > Under Amour: Outlet Now Open at IMM Outlet Mall! Fans of Under Armour rejoice! 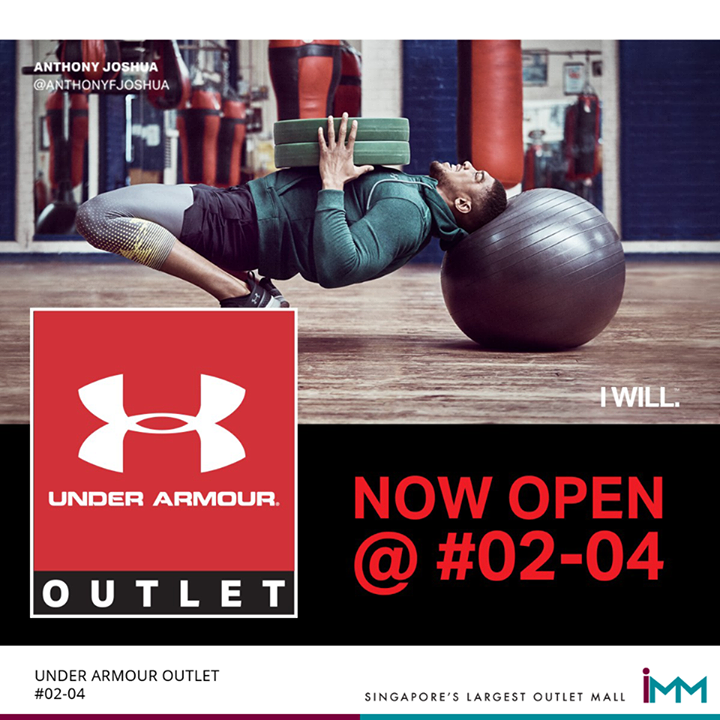 Under Armour Outlet (#02-04) is now open at IMM outlet mall. Get your innovative sportswear, shoes and accessories at discounted prices today! Previous: [Bay Hotel] Last Chance to Vote for Bay Hotels in the TTG Travel Awards 2017! Next: [8Tarts N Pastries] Having a event with promo at MDIS n come drop by to support if u are nearby .